The Seton Hall Pirates softball team failed to sweep the Butler Bulldogs Sunday afternoon at home at Mike Sheppard, Sr. Field, as they fell to the Bulldogs in extra innings 4-3. Butler got out to a quick start in the top of the first as shortstop Maddie Moore hit a double to center field that scored right fielder Jenna Foreman. Seton Hall quickly responded in the bottom of the first inning as designated hitter Destini Peck hit an RBI up the middle to score third baseman Janae Barracato, making the score 1-1. Later in the inning second baseman Jaden Tate singled to left scoring left fielder Hailey Arteaga. Finishing the scoring in the inning was shortstop Emily Supercynski, who drew a bases loaded walk which scored Brianna Wallace, giving the Pirates the 3-1 lead. It was all pitching after this inning as Butler pitcher allowed no runs over the next seven innings. Pirates’ pitcher Chrisa Head allowed two earned runs in her 2.1 innings pitched. Reganne Camp came in for the Pirates for relief in the third inning and allowed two earned runs with twelve strikeouts in her 5.2 innings pitched. Camp allowed the homerun to Butler’s third baseman Christina Candotti in the top of the eighth inning, earning her the loss. Butler’s starting pitcher, Alyssa Graves got into a groove against the opposing Pirates hitters and struck out twelve batters in her 8.0 innings pitched, she earned the win for the Butler Bulldogs. Butler batters were 10-34 against Seton Hall pitching Sunday afternoon. First baseman Kaitlin Doud was 1-3 hitting a solo shot in the top of the third inning. Shortstop Maddie Moore was 2-4 with an RBI and Christina Candotti was 2-3 with one RBI and one run scored. Seton Hall batters did not fare that well against Butler, going 4-27 at the plate. Peck and Tate went 1-3 with an RBI, and 1-2 with an RBI respectively. With the loss the Pirates are 16-16, winning four out of their last five games, all of which have been played at home. Looking forward the Pirates play four more games at home, “We’re looking to win series, that’s the name of the game in the Big East,” coach Smith said of the following games. 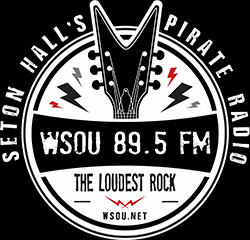 The Pirates next game will be against Hofstra, at home Thursday at 4 p.m. You can catch the game Thursday on wsou.net. Dylan Hunt can be reached at dylan.hunt@student.shu.edu.